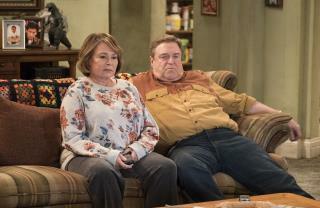 Her argument: In the show, Roseanne explains her vote thusly: “He talked about jobs, Jackie. He said he’d shape things up." When Jackie tells her to watch the news because things are now worse, Roseanne shoots back, "Not on the real news." It's the most "overtly political exchange" not only in the episode but in all nine of the new episodes to come, writes Joanna Weiss at Politico. She talks to executive producer Bruce Helford, who says the show will aim to get polarized families talking again, to "put the whole discourse out in the open." If everyone is calling this a pro Trump show, that means all the other garbage on the networks are anti-Trump shows. Proves how left leaning they all are.